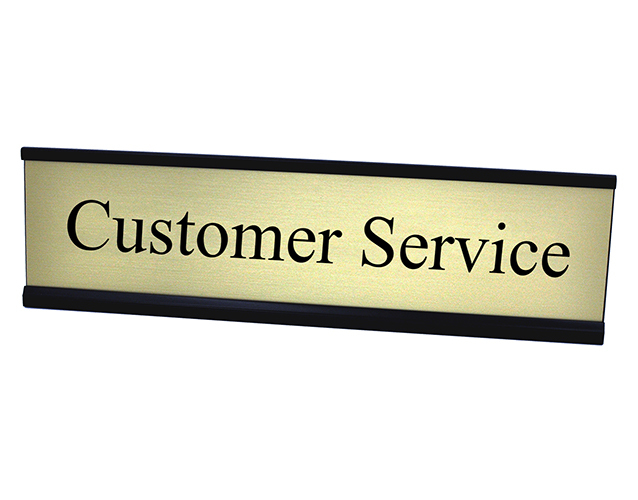 Guide customers to the right desk or post with this customer service desk plate in your choice of color. Line Starts Here Desk Plate | 2" x 8"
Rosewood Piano Finish Desk Name Plate Script Font 2" x 10"
Make it clear where customers can receive assistance by displaying this professional customer service desk plate. 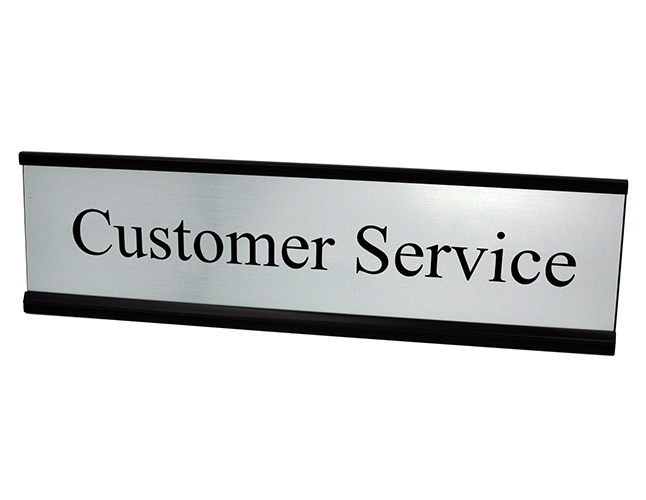 This quality engraved customer service sign will let everyone know where they can have their questions answered. This plate is available in your choice of color and holder color.